The upcoming Meizu flagship will be called Meizu 16 and will arrive as a successor of the anniversary Meizu 15 phone. Up until now, we knew the device is expected sometime in August, but without an exact date. 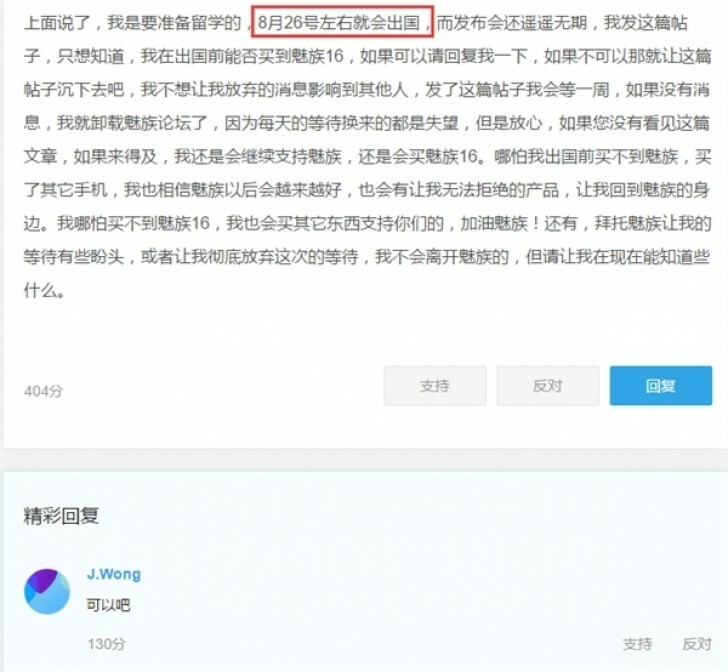 According to sources from China, Meizu CEO Jack Wong said the phone will arrive on August 26 and will be available for order right after the launch. The Meizu 16 is expected to arrive with Snapdragon 845. Rumors and leaks have been pointing to an under-display fingerprint scanner and a large tall screen. Other reports suggested a pressure-sensitive home button under the eventual OLED panel. While a more powerful version is expected to come with a vapor chamber for cooling, a lite variant is also rumored to come with Snapdragon 710 and without the fancy fingerprint scanning technology. Whether any of this is true will be fully revealed at the end of August when the device goes official.